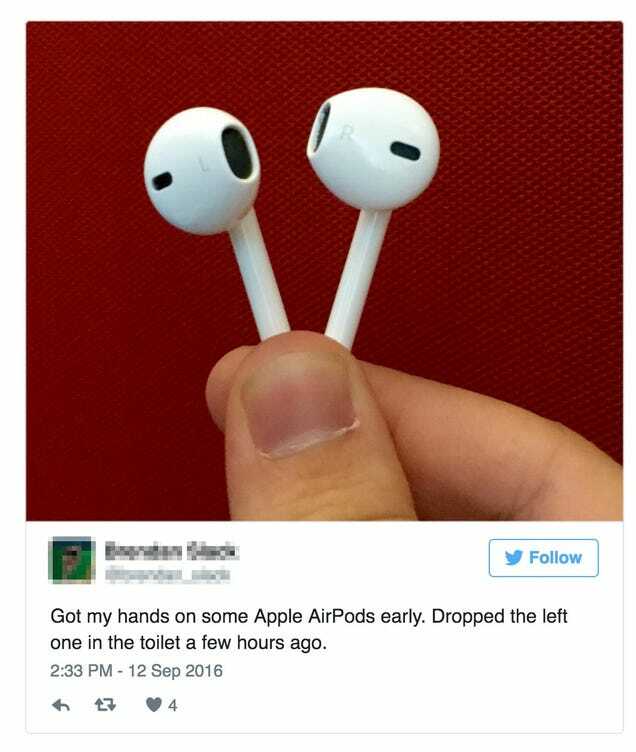 While people mourn the loss of the headphone jack on the iPhone 7, they ignore the real danger of Apple’s AirPods: If you wear them while you use the bathroom, you run the risk them falling from your ear into the toilet. Be careful out there, AirPod users. Have you dropped your $150 Apple earpods in the toilet, or some other unfortunate location? We want to know. Tip us at tipbox@gizmodo.com.